Barcelona:Barcelona actually needed a win earlier today in order to be in 1st place in their group following three matches and the club was successful against FC Copenhagen with a 2-0 victory thanks to two goals from Lionel Messi. 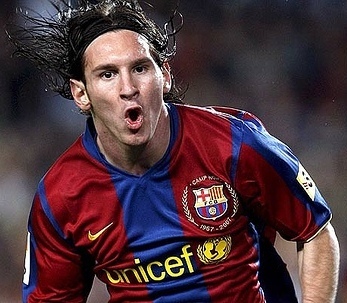 With 7 points earned following the first half of matches, Messi and company are in strong position to make the next round with a 5 point advantage over 3rd place FK Rubin Kazan, but their single point lead over Copenhagen will keep things interesting for the former treble winners when it comes to a strong knockout round draw. Real Madrid:Real Madrid was winners of the biggest match of the group qualifiers with a 2-0 victory over AC Milan. With 9 points earned following 3 matches, Jose Mourinho’s side is in perfect position to seal the group with a 5 point advantage over the rest of the competition. Add on the fact that the club has yet to allow a single goal in the tournament and you have a team that can comfortable draw their way into the next round of the tournament if they want to, but expect them to earn 16 points total. Valencia: Following a loss to Manchester United at home for their 2nd match, Valencia was only able to draw Celtic 1-1 today thanks to an own goal from the British club to equalize. The club is currently in 3rd place following their first half of matches and the side is only 1 point behind the club they just played today and only 3 behind first place Man U. So they are certainly not out of it yet.